what a beautiful newsletter! i am sure next years will be EVEN better! I love it! Way to go...good for you. Sometimes you just need a break. Oh the guilt! The guilt! I tell ya. I went back and forth too. I said I just wasn't going to do it this year! But then the guilt. So I started to slowly work on it. Not to be stressed out. Decided if they didn't get out until Jan 15 it was ok. And.....they did get out on Saturday. I see us! How fun. I had never thought of putting all the cards on the front door. We got this card hanger from Southern Living that I have been using - it's pretty cool. Let the guilt go...love ya still. I almost did the same thing this year. 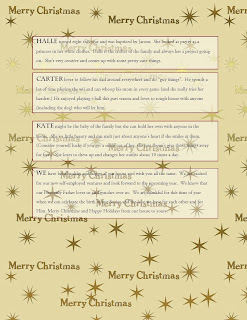 I think alot of people did because I didn't get near the Christmas cards that I normally receive. 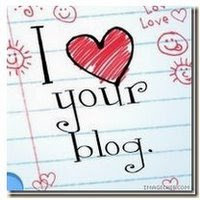 I think many opted out or that is becoming a new trend with blogs, and e-mail. I have been thinking that the world communicates so easily now that we already know what is going on in each others lives - How long does the Christmas card really have??? Your card/letter on your blog is great though! Don't EVEN feel guilty! I opted out of the card thing this year too, there is always next year and to tell you the truth, I don't think I can recall who sent me a card last year and who didn't! The years just run together...cute newsletter though! That would've been fun for family and others to receive! LOL!!!!! OH how so VERY FUNNY!!! I LOVED your story about me! That made me laugh the hardest! So true, so true. Ughhhh, what a good laugh. 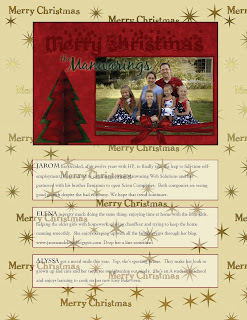 I went over the Becky's blog first, and saw her Christmas card, and thought, "What a good idea". Ah HA! It's a great idea! I love your family fourth of July Pic, and I love the easy to read summaries of everyone. I bet you whipped that out in five seconds, sighing a few times along the way just trying to get it finished for this post! LOL! Oh how I love you! (No, not in a weird way anyone). Wouldn't that be a fun statement to hear your computer reader read.... "Oh..how..I..love...you. (No..not..in..a..weird...way...anyone). Merry Christmas tired and fulfilled Elena. I opted out of cards last year except to email one. It felt nice. This year I emailed half, not to metion the blog... and then mailed a few "essentials." I look forward to next year and having all my cards ready to send by Thanksgiving. I say this every year, but if you dream something more than once it's sure to come true, right?